Last week I hiked down to the marshy area where the skunk cabbage usually grows at Howard County Conservancy’s Mt. Pleasant Farm – and it was already coming up out of the muck. 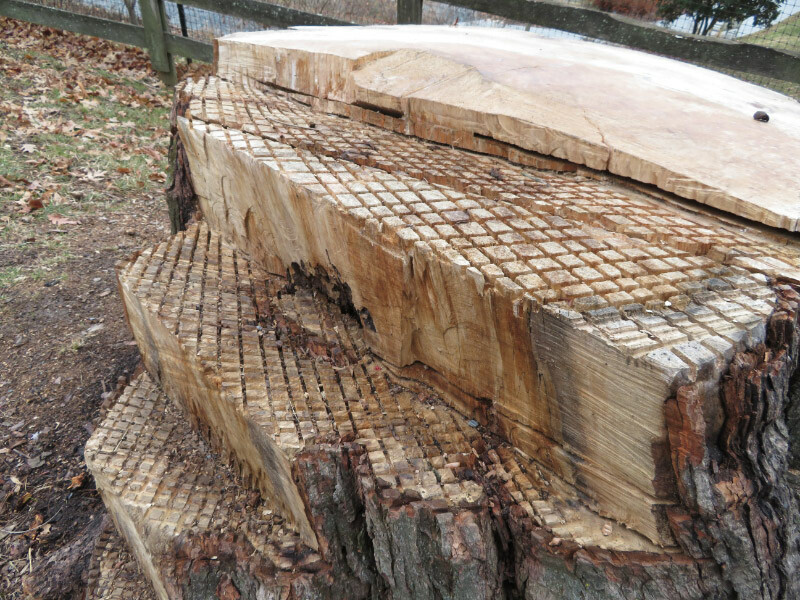 There were no blooms yet; those will be left for February. I used the zoom to get pictures since the area was muddy both from rain the previous day and the usual water from the small spring. 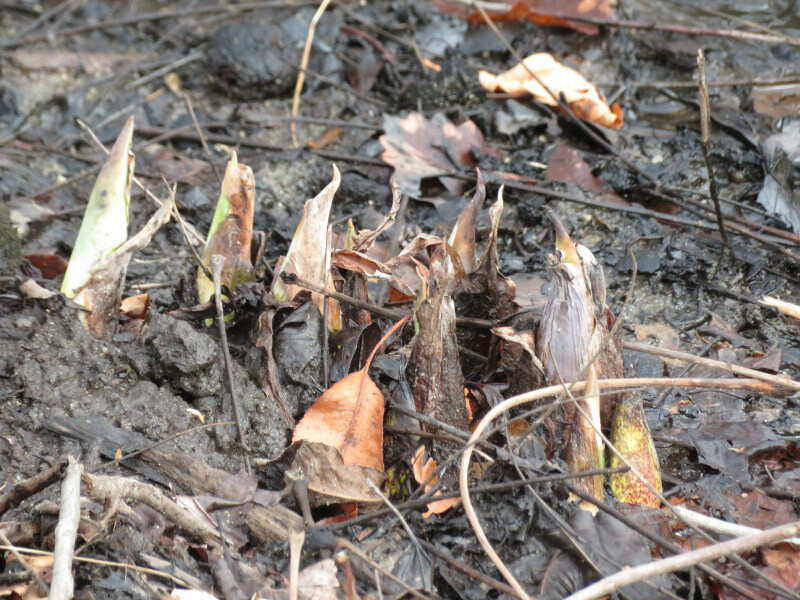 It was warm enough that there was no ice in the area where the skunk cabbage was sprouting. 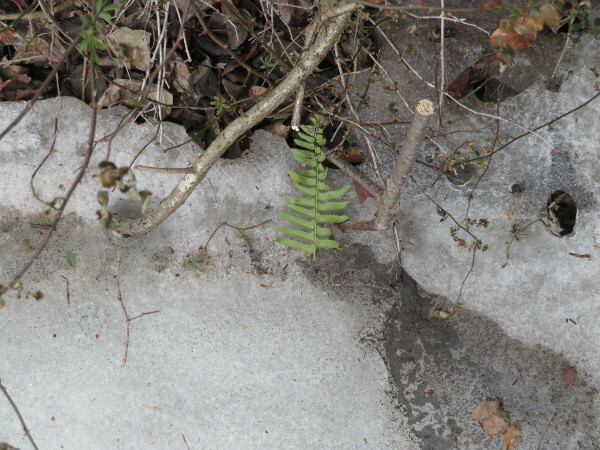 In other areas there was more ice – further from the spring (the water that emerges from the ground must be a little warmer) or where ice got thicker when the temperature was very low and it takes longer to thaw. 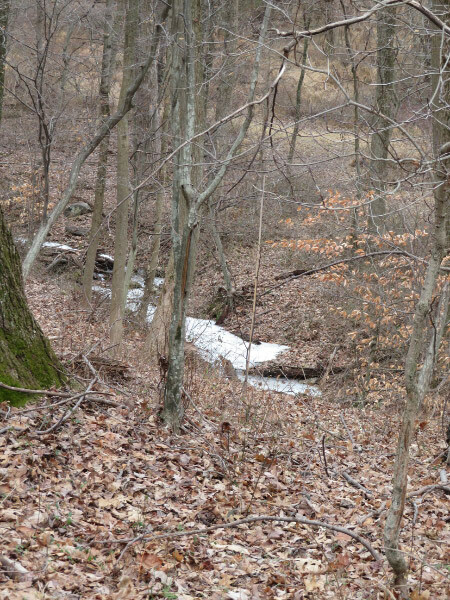 It wasn’t freezing on the day I was hiking so part of the stream that has accumulated more water and the flowing more rapidly was entirely melted. Shelf fungus group just about everywhere – even on stumps of invasive trees (these were probably Callery pear). 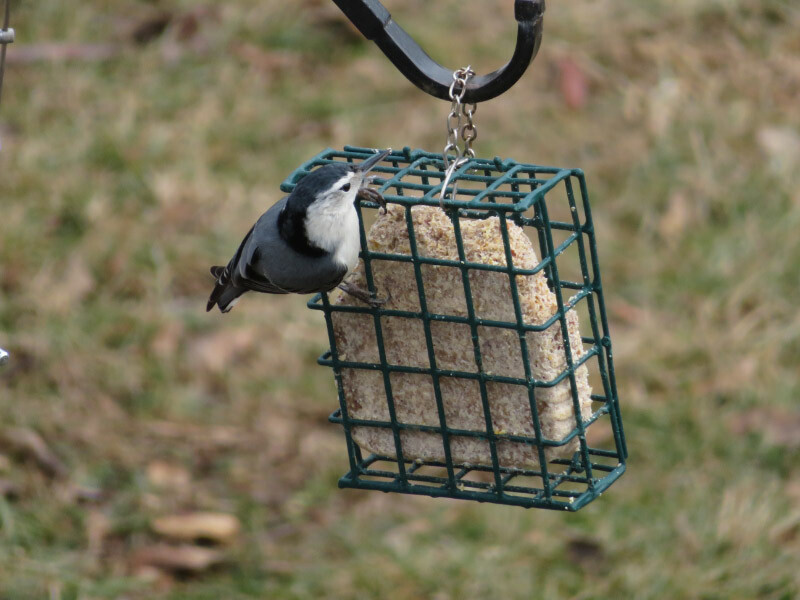 The bird feeders in the Honors Garden were active: nuthatches, downy woodpeckers, and goldfinches beginning to get their spring plumage were the ones I managed to photograph.